The posterior cruciate ligament is the strongest ligament in the knee. The PCL runs along the back of the knee from the bottom of the thigh bone (femur) to the top of the lower leg bone (tibia). The PCL helps keep the knee stable, especially the back of the joint. Twisting or overextending the knee can cause the PCL to tear. * Untreated instability in the joint may lead to arthritis. 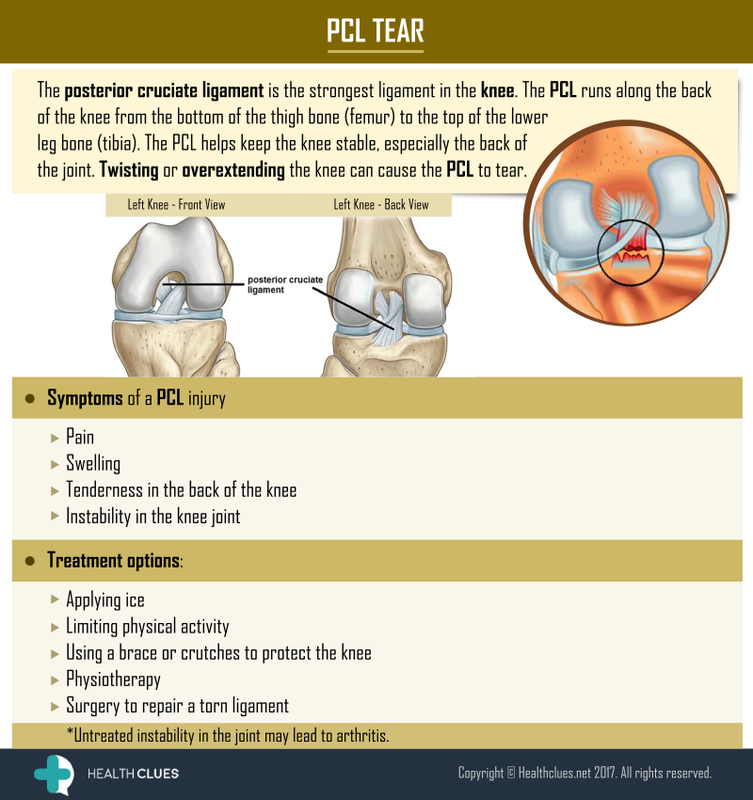 Infographics knee injury, Knee Ligament Injury, knee pain, ligament injury, PCL Injury, PCL Tear. permalink.